Park Life is a series of painted panels that visualizes the diversity of animal life found in five U.S. National Parks: Death Valley, Glacier, Grand Teton, Hot Springs, and Shenandoah. 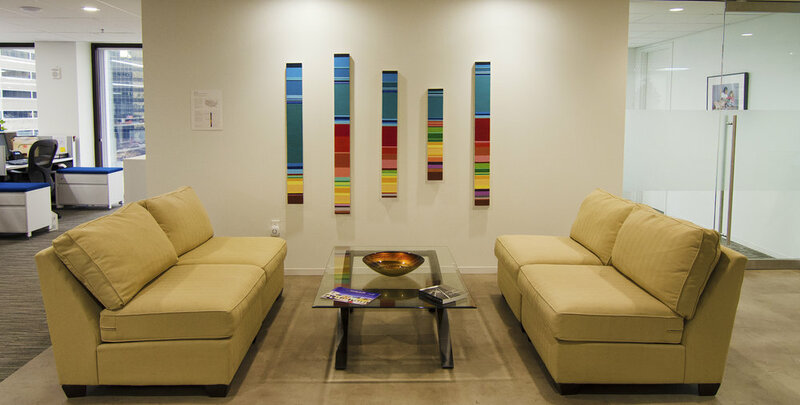 Using data from the National Park Service's Species Lists, each panel forms a unique snapshot of a single park that allows the viewer to see beyond often familiar landscapes to “witness” the hidden life within. 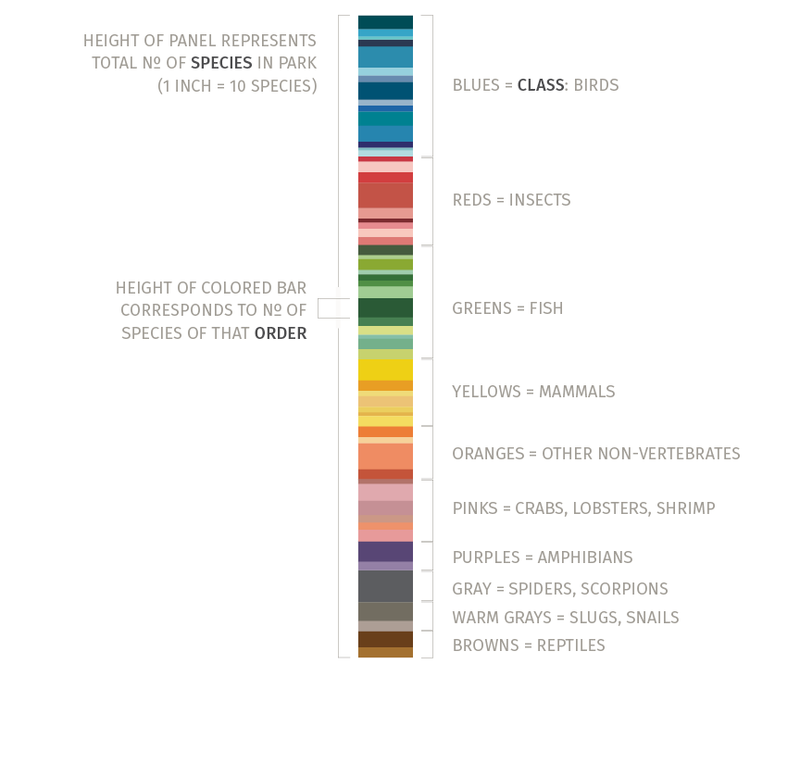 The height of each panel corresponds to the total number of species found in that park—the taller the panel, the more species call that park home. *Taxonomic ranks: domain, kingdom, phylum, class, order, family, genus, and species.